Find this and comment here http://www.regulations.gov/#!documentDetail;D=FAA-2015-4378-0001 Thanks Steve Zeets for the heads up. AGENCY: Department of Transportation and Federal Aviation Administration. ACTION: Clarification and request for information. SUMMARY: This document clarifies the applicability of the statutory requirements regarding aircraft registration to UAS, including those operating as model aircraft. 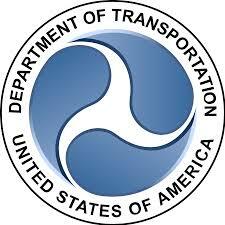 In addition, the DOT announces the formation of a UAS registration task force to explore and develop recommendations to streamline the registration process for UAS to ease the burden associated with the existing aircraft registration process. This document requests information and recommendations regarding what information and registration platform would be appropriate for UAS registration and ways to minimize the burden to the regulated community. In addition, we request comment on which UAS, based on their weight or performance capabilities, warrant a continued exercise of discretion with respect to requiring registration because of the negligible risk they pose to the national airspace system (NAS). www.regulations.gov, by [INSERT DATE 15 DAYS AFTER DATE OF PUBLICATION IN THE FEDERAL REGISTER]. The docket will remain open after this time and the Department will consider all comments received in developing a registration process. • Mail: Dockets Management System; U.S. Department of Transportation, Dockets Operations, M-30, Ground Floor, Room W12-140, 1200 New Jersey Avenue, S.E., Washington, DC 20590-0001. • Hand Delivery: To U.S. Department of Transportation, Dockets Operations, M-30, Ground Floor, Room W12-140, 1200 New Jersey Avenue, S.E., Washington, DC, 20590-0001, between 9:00 a.m. and 5:00 p.m., Monday through Friday, except Federal holidays. Instructions: Include the agency name and docket number FAA-2015-4378 for this document at the beginning of your comment. Note that all comments received will be posted without change to http://www.regulations.gov including any personal information provided. If sent by mail, comments must be submitted in duplicate. Persons wishing to receive confirmation of receipt of their comments must include a self-addressed stamped postcard. union, etc.). You may review DOT’s complete Privacy Act Statement at http://www.dot.gov/privacy. Docket: You may view the public docket through the Internet at http://www.regulations.gov or in person at the Docket Operations office at the above address (See ADDRESSES). FOR FURTHER INFORMATION CONTACT: Questions regarding this document may be directed to Earl Lawrence, Director, FAA UAS Integration Office, 800 Independence Ave. SW, Washington DC, 20591; phone: (202) 267-6556; email: UASRegistration@faa.gov. In the FAA Modernization and Reform Act of 2012 (Pub. L. 112-95) (the Act), Congress mandated that the DOT, in consultation with other government partners and industry stakeholders, develop a comprehensive plan to safely accelerate the integration of civil UAS in the NAS. Since 2012, the Department has made progress in enabling UAS operations, through issuing exemptions under section 333 of the Act to permit commercial operations; creating a UAS test site program to encourage further research and testing of UAS operations in real-world environments; issuing a notice of proposed rulemaking, Operation and Certification of Small Unmanned Aircraft Systems (RIN 2120-AJ60) (small UAS NPRM), that sets forth a framework for integrating small UAS operations in the NAS; and developing a Pathfinder program to encourage research and innovation that will enable advanced UAS operations. A foundational statutory and regulatory requirement that the Department has employed for each of these integration programs is aircraft registration and marking. In order to operate in the NAS, the Department must ensure that operators are not only aware of the system in which they are operating, but that we also have a means to identify and track the UAS to its operator. One means to accomplish this is through aircraft registration and marking. To date, UAS operators that the Department has authorized have been required to register their UAS through the FAA’s existing paper-based registration process under 14 CFR part 47. As an exercise of discretion, historically we have not required model aircraft to be registered under this system. UAS hold enormous promise for our economy and for the aviation industry. But for the industry to develop to its full potential, we have to ensure that it develops safely. Over the past several months, we have received increasing reports of unauthorized and unsafe use of small UAS. Pilot reports of UAS sightings in 2015 are double the rate of 2014. Pilots have reported seeing drones at altitudes up to 10,000 feet, or as close as half-a-mile from the approach end of a runway. In recent weeks, the presence of multiple UAS in the vicinity of wild fires in the western part of the country prompted firefighters to ground their aircraft on several occasions. These UAS operations are unsafe and illegal. However, only a small percentage of these incidents have resulted in enforcement actions against individuals for unsafe or unauthorized UAS operation because identifying an individual or entity responsible for the dangerous operation of UAS is very difficult. This situation is troubling to the unmanned aircraft industry, to responsible model aircraft users, and to users of the NAS, all of whom always put safety first. have projected huge holiday sales. We are committed to ensuring that the U.S. continues to lead the world in the development and implementation of aviation technology, and in doing so, that we create a space for the creativity, innovation and exploration that will drive this industry forward in the years and decades ahead. At the same time, we must create a culture of accountability and responsibility among all UAS operators. To maintain safety in the NAS, the Department has reconsidered its past practice of exercising discretion with respect to requiring UAS to be registered, consistent with statutory requirements of 49 U.S.C. 44101-44103, and has determined that registration of all UAS is necessary to enforce personal accountability while operating an aircraft in our skies. Federal law requires that a person may only operate an aircraft when it is registered with the FAA. 49 U.S.C. 44101(a).1 “Aircraft” is defined as “any contrivance invented, used, or designed to navigate, or fly in, the air.”2 49 U.S.C. 40102(a)(6). In 2012, Congress confirmed that UAS, including those used for recreation or hobby purposes, are aircraft consistent with the statutory definition set forth in 49 U.S.C. 40102(a)(6). See Pub. L. 112-95, sec. 331(8), 336 (defining an unmanned aircraft as “an aircraft that is that is operated without the possibility of direct human intervention from within or on the aircraft,” and model aircraft as “an unmanned aircraft that is capable of sustained flight in the atmosphere, flown within visual line of sight of the person operating the aircraft, and flown for hobby or recreational purposes”); see also Administrator v. Pirker, NTSB Order No. EA-5730, at 12 (Nov. 17, 2014) (affirming that the statutory definition of aircraft is clear and unambiguous and “includes any air aircraft, manned or unmanned, large or small.”). Because UAS, including model aircraft, are aircraft, they are subject to FAA regulation, including the statutory requirements regarding registration set forth in 49 U.S.C. 44101(a), and further prescribed in regulation at 14 CFR part 47. Historically, the FAA, through the exercise of its discretion, has not enforced the statutory requirements for aircraft registration in 49 U.S.C. 44101 for model aircraft. As evidenced by the recent reports of unsafe UAS operations, the lack of awareness of operators regarding what must be done to operate UAS safely in the NAS, and the lack of identification of UAS and their operators pose significant challenges in ensuring accountability for responsible use. Without increased awareness and knowledge of the statutory and regulatory requirements for safe operation, the risk of unsafe UAS operations will only rise. Aircraft identification and marking will assist the Department in identifying owners of UAS that are operated in an unsafe manner, so we may continue to educate these users, and when appropriate, take enforcement action. Requiring registration of all UAS, including those operated for hobby or recreation, embraces and applies the Academy of Model Aeronautics’ (AMA)’s policy of identification to UAS operators who may not be modelers registered with the AMA. Additionally, it would ensure consistency with other UAS operations currently required to be registered, such as public aircraft, those operated under exemptions, and certificated aircraft, as well as those operations contemplated in the small UAS NPRM. Based on the Department’s experience in registering small UAS authorized by exemptions granted under the authority of section 333 of the FAA Modernization and Reform Act of 2012, and the comments received on the proposed registration requirements in the small UAS NPRM, it is apparent that the current paper-based system for aircraft registration is too burdensome for small UAS, to include model aircraft. To facilitate compliance with the statutory obligation for registration, the DOT is currently evaluating options for a streamlined, electronic-based registration system for small UAS. 1. What methods are available for identifying individual products? Does every UAS sold have an individual serial number? Is there another method for identifying individual products sold without serial numbers or those built from kits? 2. At what point should registration occur (e.g. point-of-sale or prior-to-operation)? How should transfers of ownership be addressed in registration? 3. If registration occurs at point-of-sale, who should be responsible for submission of the data? What burdens would be placed on vendors of UAS if DOT required registration to occur at point-of-sale? What are the advantages of a point-of-sale approach relative to a prior-to-operation approach? duration of flight? If so, please submit information or data to help support the suggestions, and whether any other criteria should be considered. 5. How should a registration process be designed to minimize burdens and best protect innovation and encourage growth in the UAS industry? 6. Should the registration be electronic or web-based? Are there existing tools that could support an electronic registration process? 7. What type of information should be collected during the registration process to positively identify the aircraft owner and aircraft? 8. How should the registration data be stored? Who should have access to the registration data? How should the data be used? 9. Should a registration fee be collected and if so, how will the registration fee be collected if registration occurs at point-of-sale? Are there payment services that can be leveraged to assist (e.g. PayPal)? 10. Are there additional means beyond aircraft registration to encourage accountability and responsible use of UAS? Comments received by [INSERT DATE 15 DAYS AFTER DATE OF PUBLICATION IN THE FEDERAL REGISTER] would be most helpful in assisting the UAS registration task force in developing its recommendations. The comment period will remain open after this period and the Department will consider the comments received, in addition to the UAS registration task force’s recommendations, in developing a stream-lined registration process for small UAS, including model aircraft. Issued in Washington, DC on October 19, 2015. Administrator of the Federal Aviation Administration. I can already imagine all the ignorant police, park rangers, whomever that don't understand UAS vs. non-UAS. My 600mm frame CC3D powered quad would be easily be mistaken for UAS just cause it has a cool looking FPV antenna..
My favorite is number 10, "Are there additional means beyond aircraft registration to encourage accountability and responsible use of UAS?" WTF!? Big brother sure is getting creepier by the day. Tedro, I must have missed it. Why is your quad not a UAS? How is a UAS vs. non-UAS defined? I have been putting my contact information on my airframes for more than 30 years. It cost me nothing. If the FAA, or DOT, wants my airframes registered so be it, but they better not expect me to pay for the "privilege" of giving them what they want. (With the stated requirement to retroactively register I am looking at a small fortune in registration fees.) The registration database must also remain private. With all of the demonization of drones going on in the media I would expect to see people with pitchforks outside my door as the result of public disclosure of the database. For that matter, how can we trust that the data will remain private if they say that it will? The feds just got hacked, leaking private information on millions of DOD employees. How can they be trusted with UAV registration databases? Bob, you're right. I was thinking line of sight vs autonomous but I see that UAV has two categories... 1. Autonomous and 2. Remotely piloted. Using this wiki definition you can say any size (even micro hand sized) flying thing is a drone. But most people define a "drone" as being autonomous capable. Rob, that is indeed the most important question. Problem is that there is no answer. After FAA v Pirker's first loss, the NTSB on appeal defined *any* flying object as an aircraft. ("“a device that is used or intended to be used for flight in the air.”" (NTSB Order No. EA-5730). Bottom line is that there won't be an answer until the FAA comes up with "drone" regulation. After years of working on it still is unlikely to happen for quite a while. Until then DOT and the FAA are at best trying to patch a mess. They certainly won't clear it. What a bald-faced overreach. Congress passes a law that says the FAA may not make any regulations regarding recreational model aircraft, so the FAA regulates them by saying they were already regulated. It's a real shame Pirker decided not to pursue an appeal to clarify this nonsensical interpretation of "aircraft". Rob (sorry for the name typo above). John, great point about the boomerang! The level of 'group think' in these agencies must be absurd. There needs to be a clear distinction between autonomous and line of sight aircraft. They are not the same animals. "Any flying object" so we will see FAA asking kids with Air Hog toys to have to register too and we will need to register if we fold up a paper plane for crying out loud! Heck if you throw a rock in the air it's a flying object!